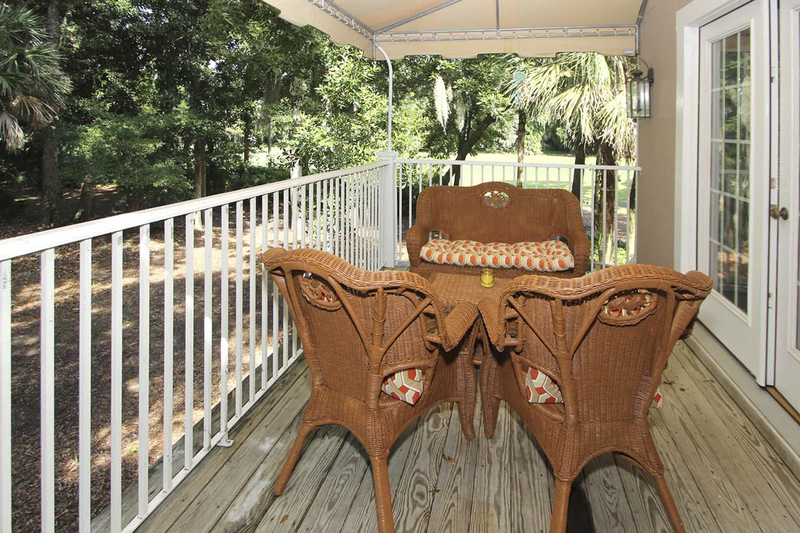 This quiet 2nd floor villa in Evian has ground floor access and beautiful landscape and golf course views. 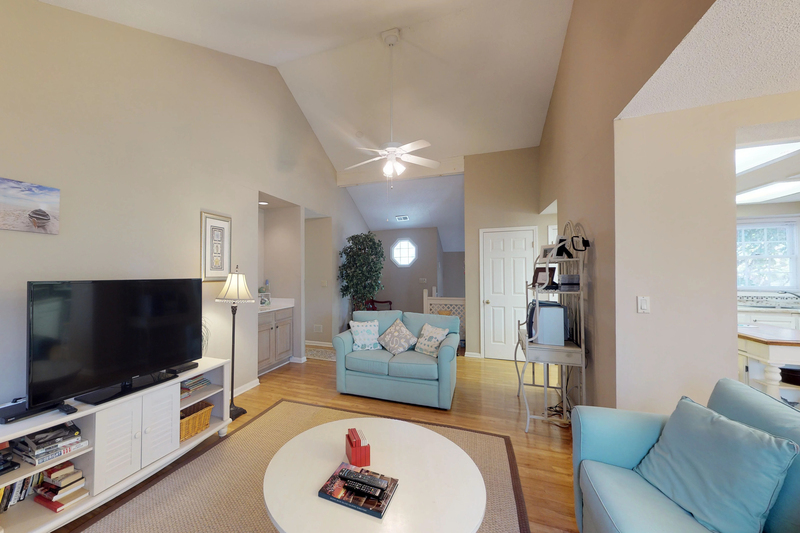 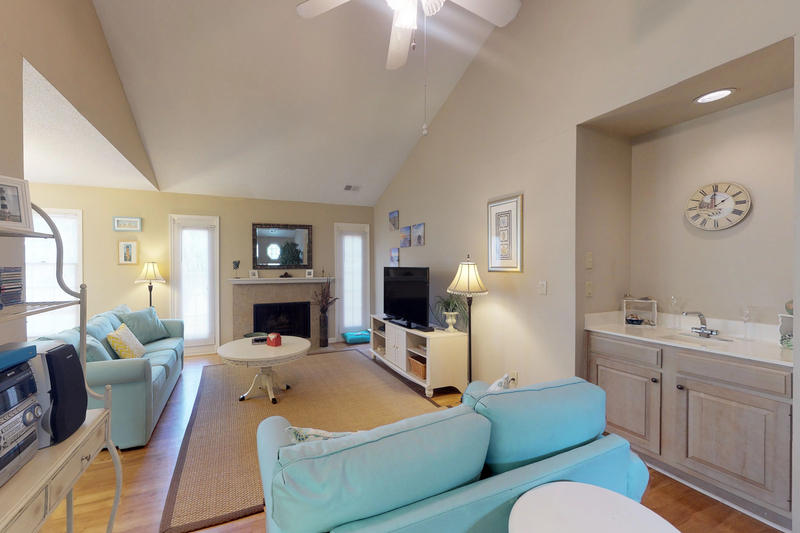 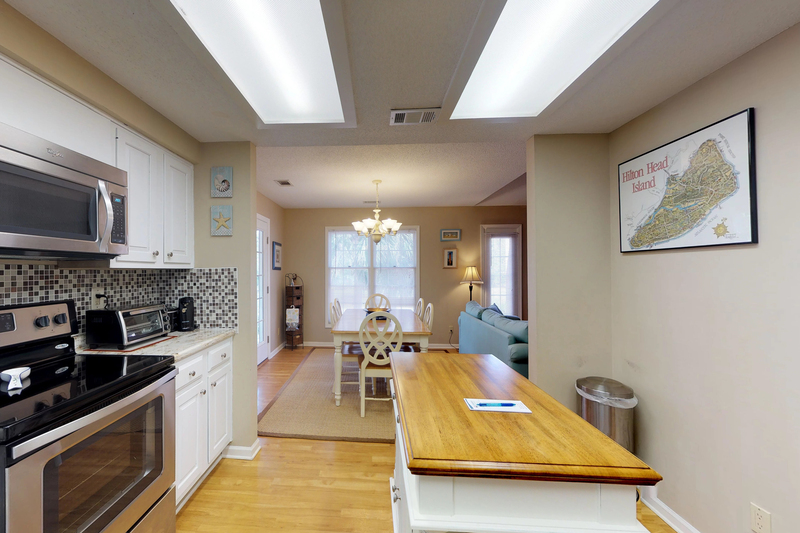 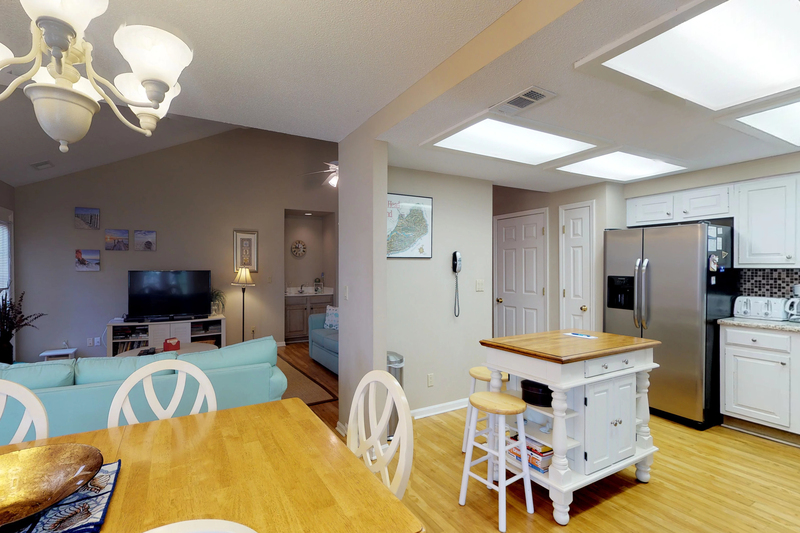 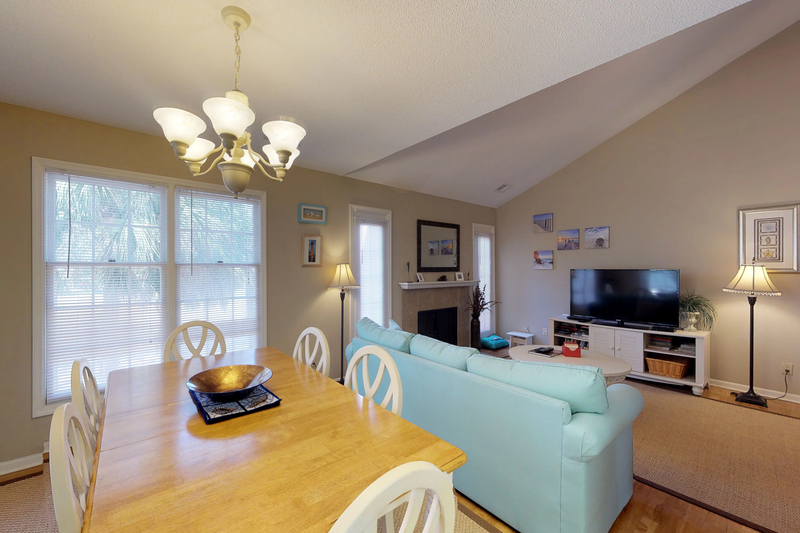 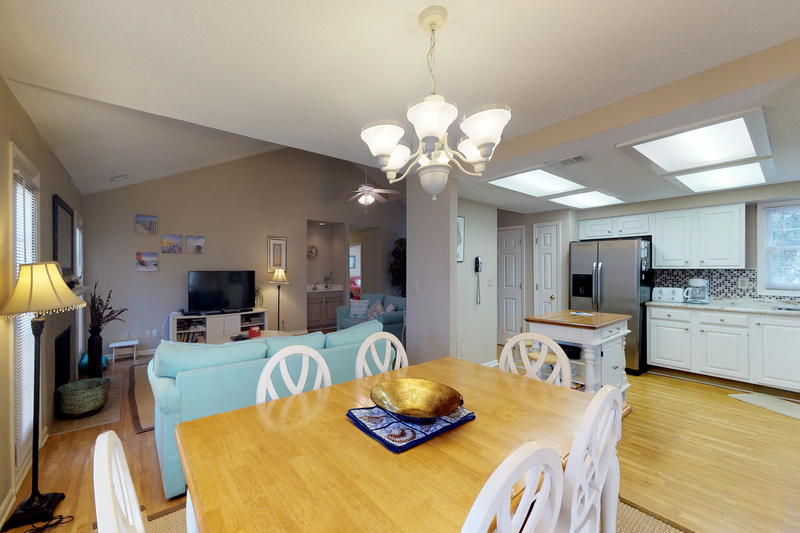 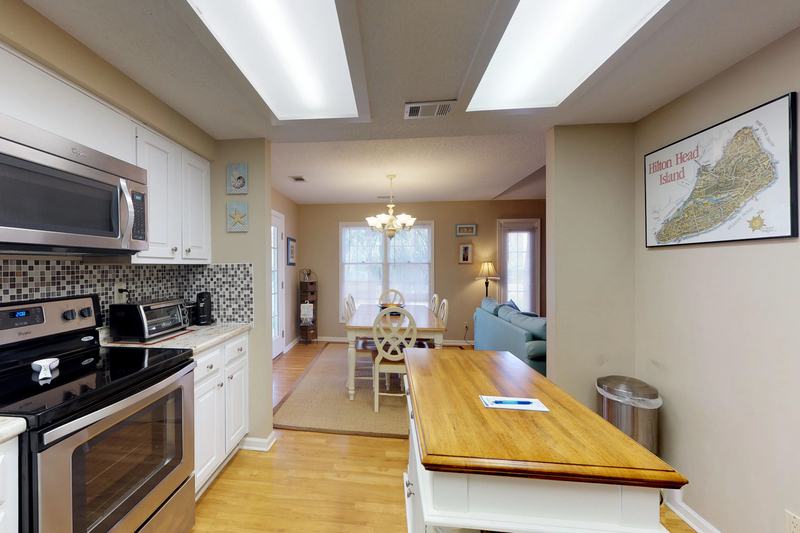 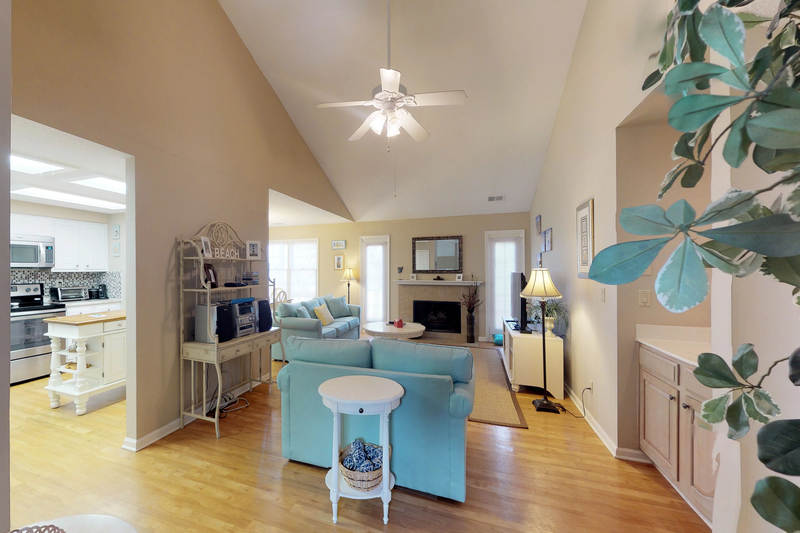 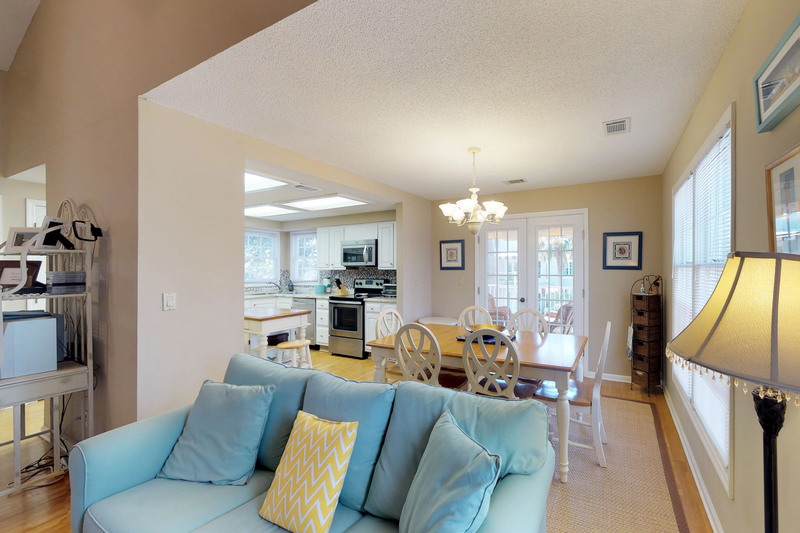 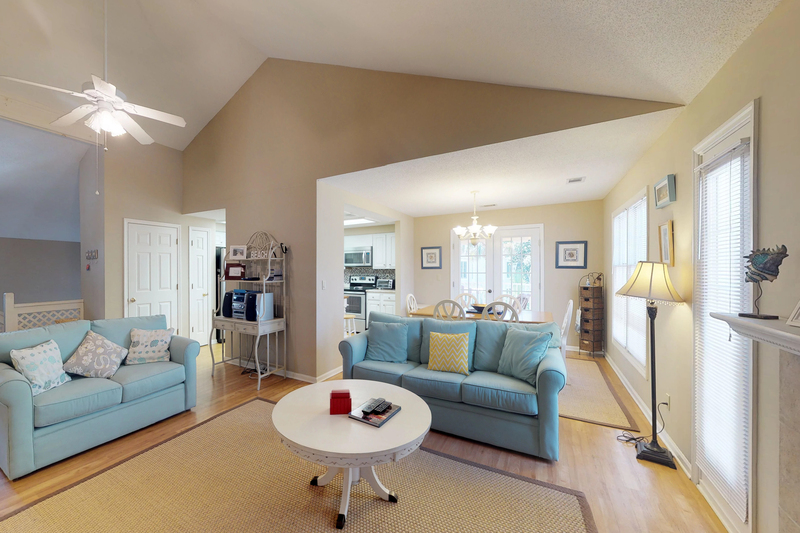 The living room features vaulted ceilings, a 55" flat screen TV, and access to a covered porch. 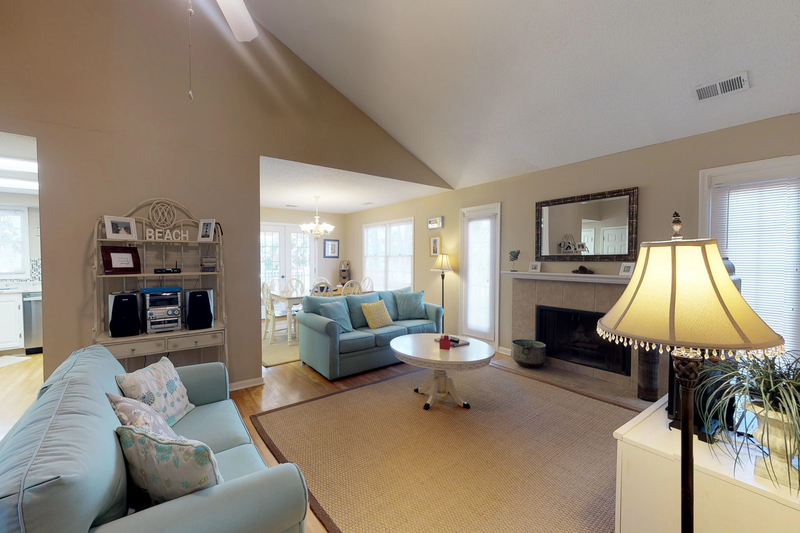 There is a queen sleeper sofa with memory foam mattress for additional sleeping accommodations. 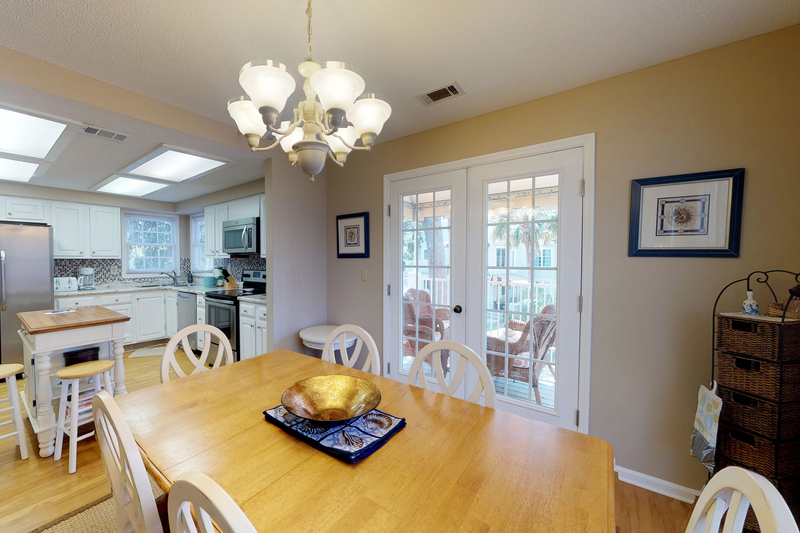 The fully furnished kitchen and dining room open up to the living room as well. 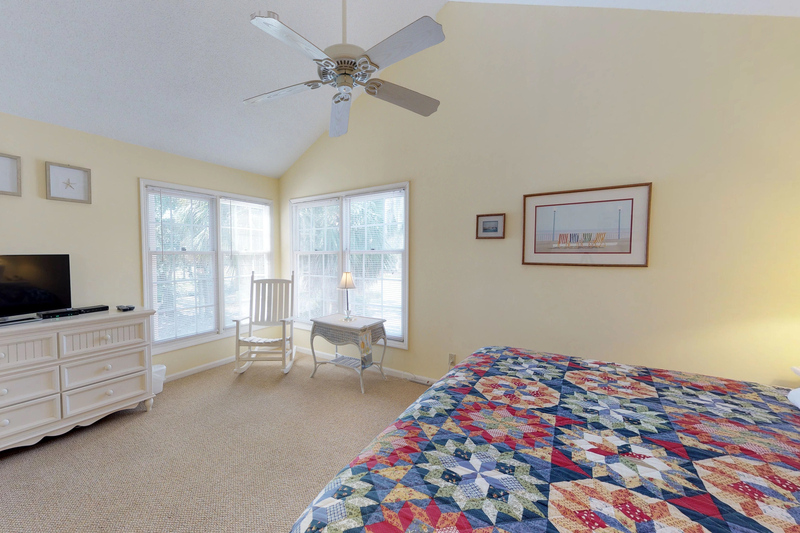 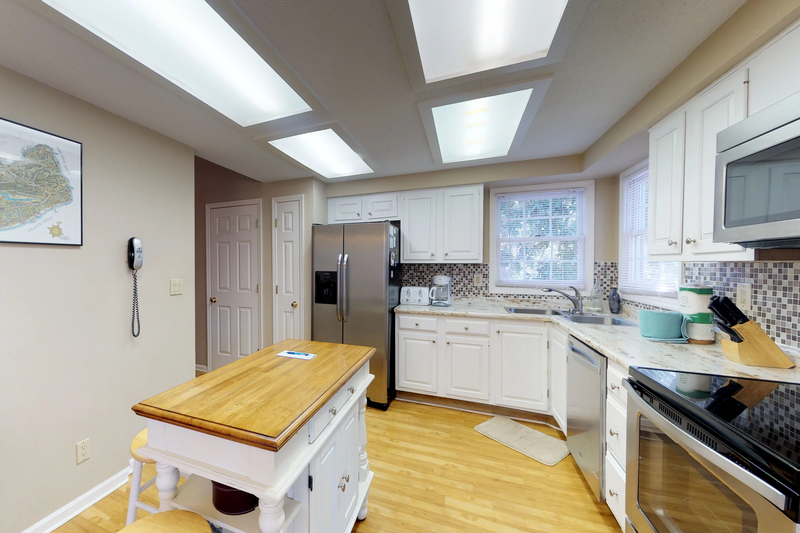 The master bedroom has vaulted ceilings, 32" flat screen TV, king size bed with a memory foam gel topper mattress, and a private bathroom with skylight and a step in tub/shower combination. 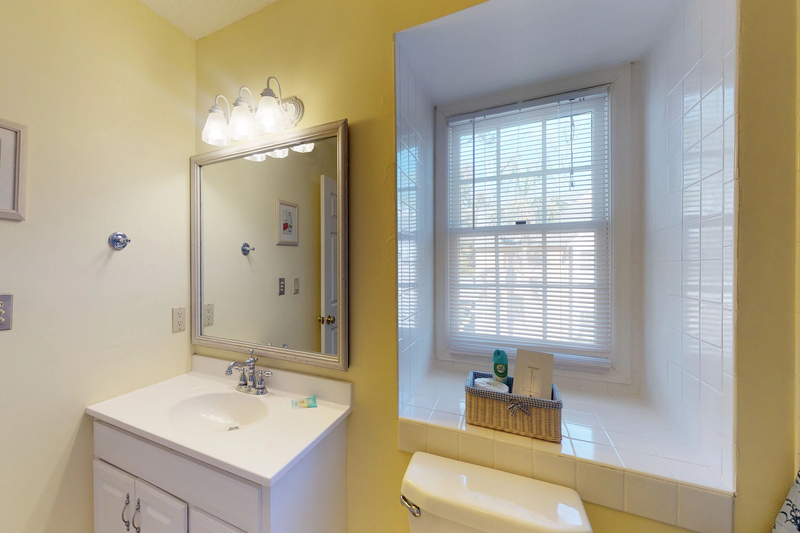 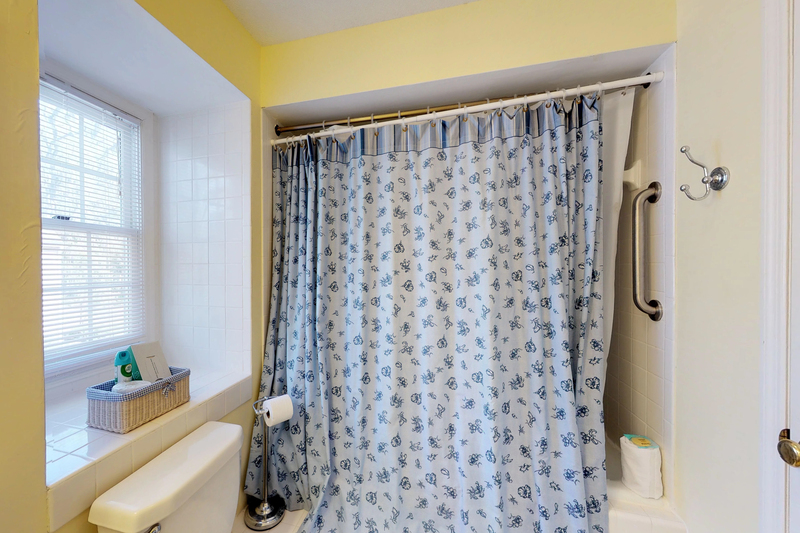 The master bath has a grab handle installed for added stability if needed. 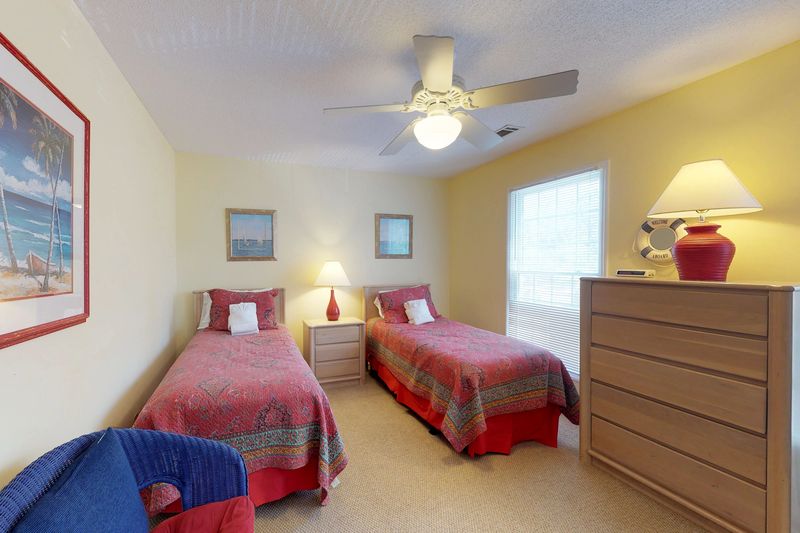 The guest bedroom is furnished with two twin beds that also have memory foam gel topper mattresses. 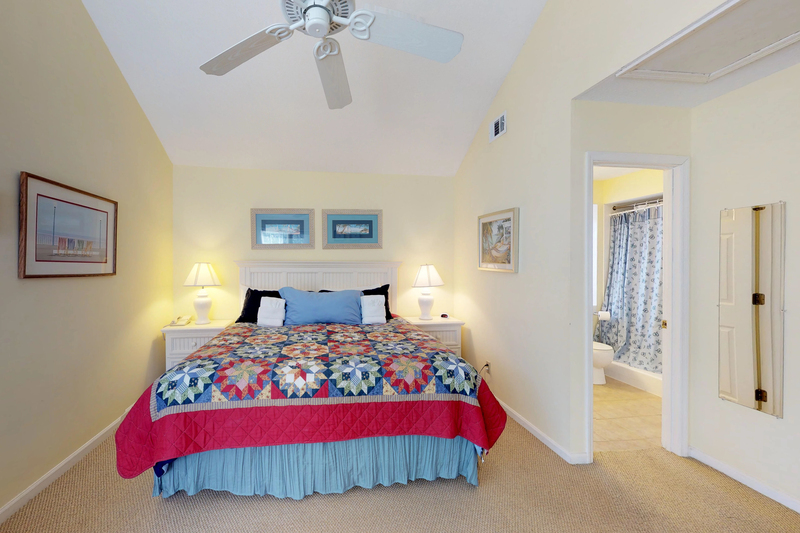 This bedroom has access to the hall bathroom with a step in tub/shower combination. 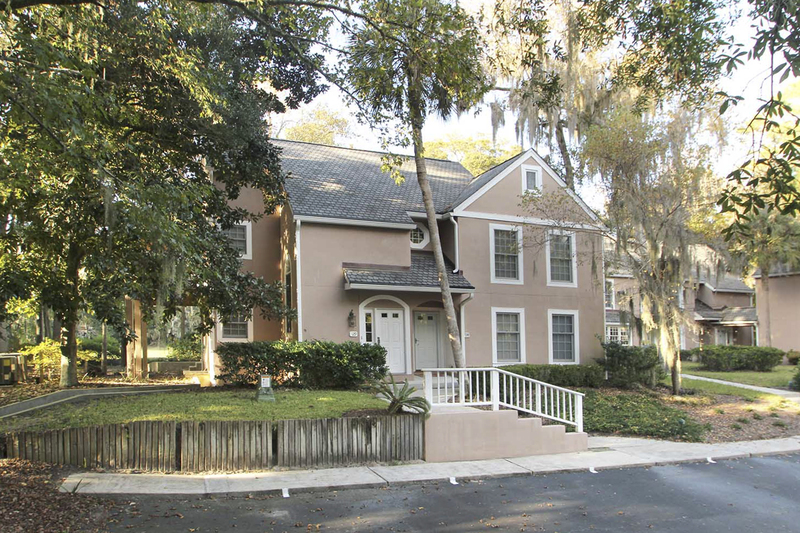 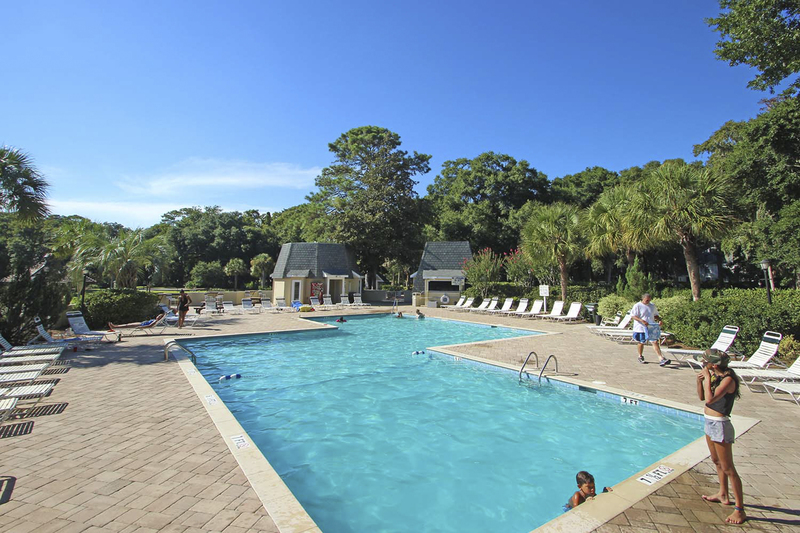 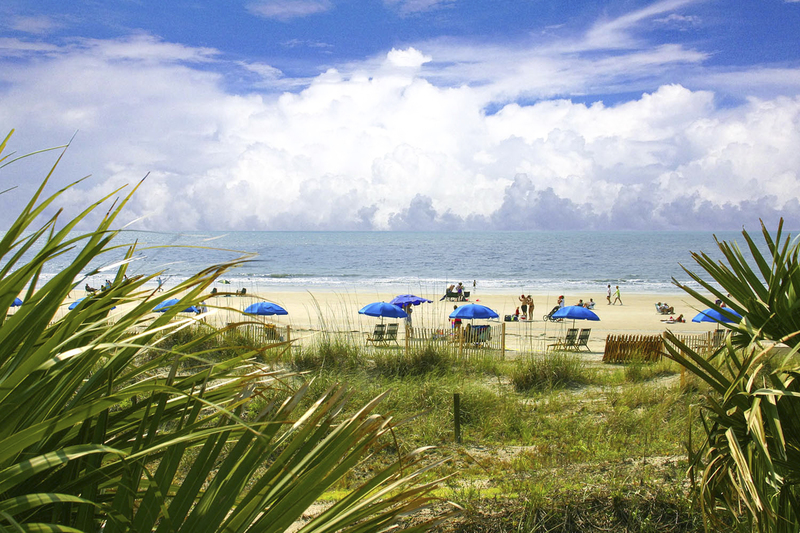 Within walking distance to the beach, the Sonesta Resort Hotel, the Van der Meer Tennis Center, the golf course and lagoons, Evian's contemporary French Quarter style units have something for everyone. 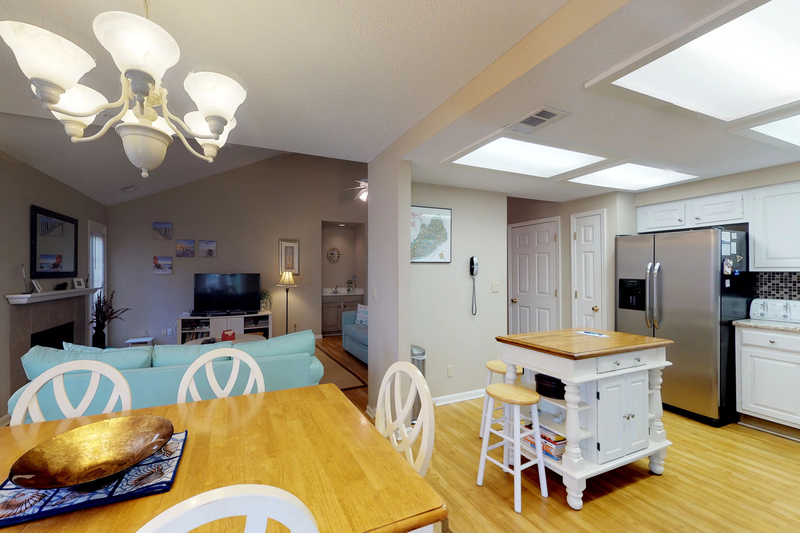 These villas have unique floor plans including French doors, wet bars, spacious kitchens and separate living and dining areas, with patios off the living room. 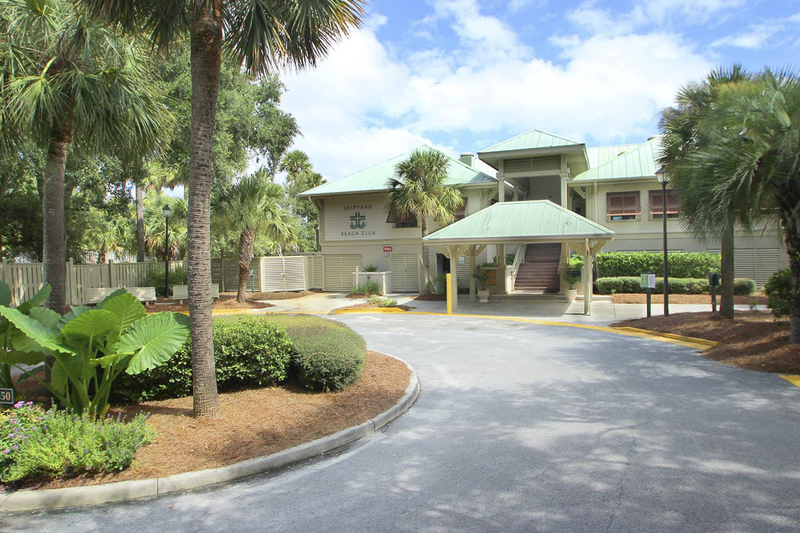 Bike trails provide easy access to the beach or you may prefer to park at the Shipyard Beach Pavilion. 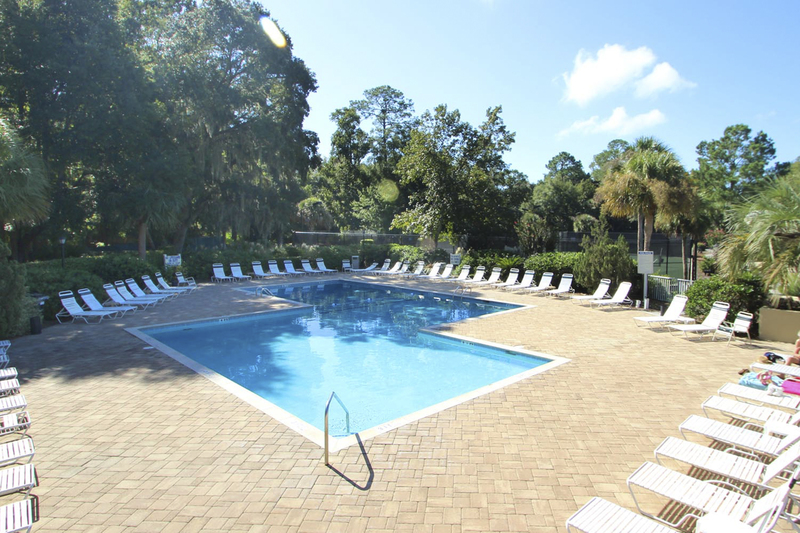 Evian also features a large pool area and lighted tennis courts.